Pf. H. C. Pollock, son of Mr. and Mrs. J. R. Pollock, Graham, husband of Phyllis Jacquot, attended Jean School. 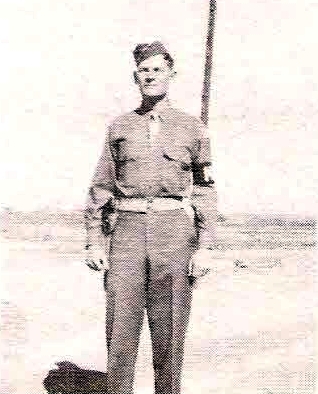 Entered Army, 1942, trained at Sheppard Field. Served in USA. Awarded ATO and GCM. Discharged in 1945. Also, Herbert Clinton Polluck is listed on the Roster Page of the original publication.